Whenever you’re abroad for a long time you look for different ways to contact your family every once in a while (Skype, landline, etc.). A Georgian friend of mine who lives in Bulgaria wanted to call home and he decided to use Google Voice (A telecommunication service from Google). But before doing so he checked call rates. By doing this he suddenly discovered that Google Voice lists Abkhazia as one of the rates for calling Russia. 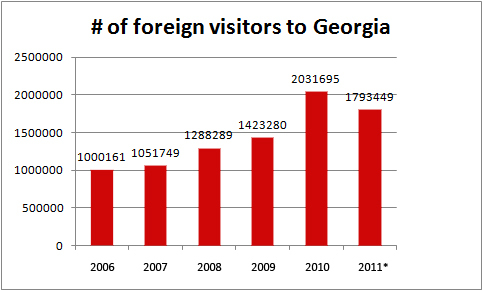 In addition to this strange fact it turns out that the fee for Abkhazia is the highest in the list. 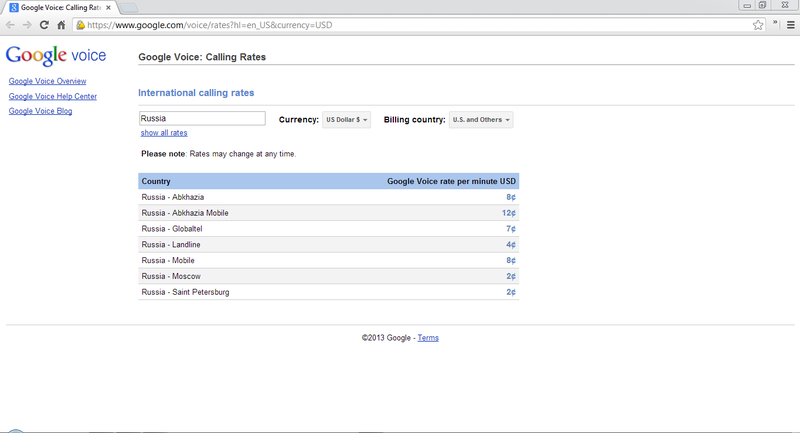 I decided to write Google Voice and ask them why do they list Abkhazia as an option for Russia. 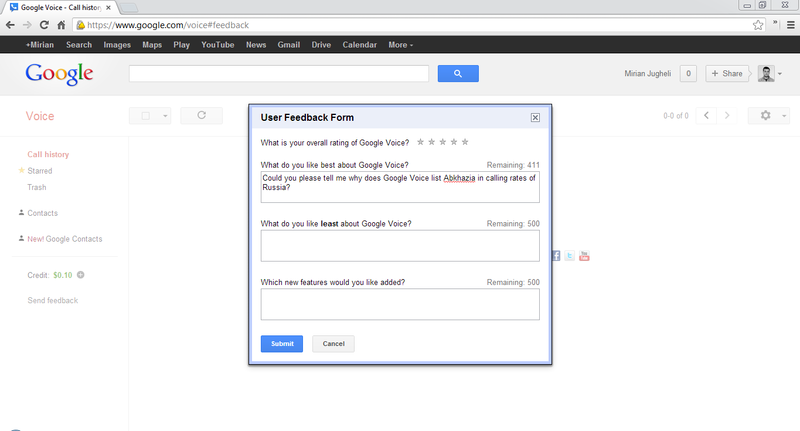 I am waiting for their answer and as soon as they reply I’ll post it here. With Russian soldiers in Georgia’s breakaway regions of South Ossetia and Abkhazia, a group of Forum.ge users proposed to mark the Defender of the Fartherland Day on February 23 by posting anti-occupation comments on Dmitry Medvedev’s Facebook page. 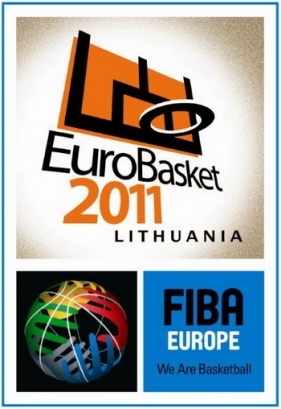 Today, January 30, 2011 drawing for Eurobasket 2011 has been held in Vilnius. Georgia got in group “D” alongside with Slovenia, Russia, Belgium, Bulgaria and Ukraine. EuroBasket 2011, will be the 37th regional championship held by FIBA Europe. The competition will be hosted by Lithuania. On November 26-27, 39th European Olympic Committees (EOC) assembly was held in Belgrade, Serbia. It was attended by 49 National Olympic Committees. During the second day of works assembly has elected the cities that will host 2015 European Youth Olympic Festivals (EYOF). The 12th winter festival will take place in Austria and Liechtenstein. The bid for 13th summer festival was won by Tbilisi, Georgia against Brno, Czech Republic, who were competing for the second time. Tbilisi received 26 votes as opposed to 21 that was given to Brno. According to insidethegames, despite negative relations, Georgia’s bid was supported by a Russian delegation too. The assembly was attended by a wide Georgian delegation, including Olympic champions, dancers and singers who have staged a 10 minute show. Mayor of Tbilisi – Gigi Ugulava was one of the attendees who expressed his readiness to hold the festival in 2015.